Salt Lake City has a familiar but still unique history in the West. Like many towns in the western US, it was originally inhabited by American Indians until European Settlers came and appropriated the land. In 1847, Mormon (LDS) pioneers from back east came into the valley to settle permanently. 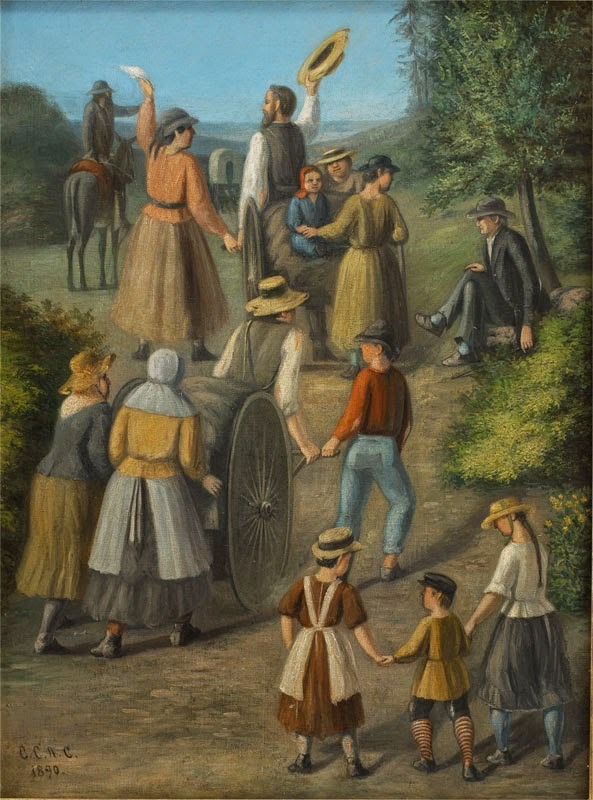 With Brigham Young famously stopping at the mouth of Emigration Canyon to say “This is the right place,” the European emigration history of the area began. Many Mormon pioneers made the trek over the central US plains to Utah. Most walked with just handcarts holding everything they had. A lot of the pioneers were also recent US emigrants from other countries. Having made a harrowing journey across the sea, they then made a harrowing journey across the plains. A museum in downtown Salt Lake City documents the pioneers’ journeys. 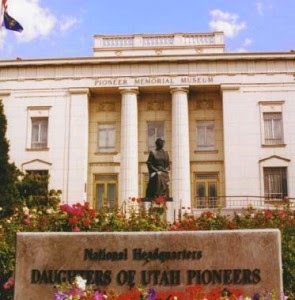 The Daughters of the Utah Pioneers Memorial Museum is a hodge-podge of artifacts from the 19th century pioneers. Run mostly by volunteers, the museum’s philosophy is “open storage,” which means that everything is on view. I love going to the museum and searching through the overwhelming amount of objects for the one gem that is a surprise. There you can find a two-headed lamb or learn about the pioneer women doctors who paved the way for women in medicine. It is a quirky place that is heaven for any textile or craft artist. I recently went there and spent almost all of my time in their sampler section. Many of the cross-stitch samplers they have were made back East or in England or another country by young girls and then brought across the plains. I am intrigued by this idea. These samplers must have been very precious in order to have them be one of the few items that could be taken with a young girl as she immigrated to a completely unknown place like Utah. The imagery on each sampler is similar, and yet different. Most of them have flowers and trees along with the requisite alphabet and numbers. But the variety of the floral elements is impressive. I was struck by one sampler by Sarah Turner and the diversity of designs she had in her sampler. 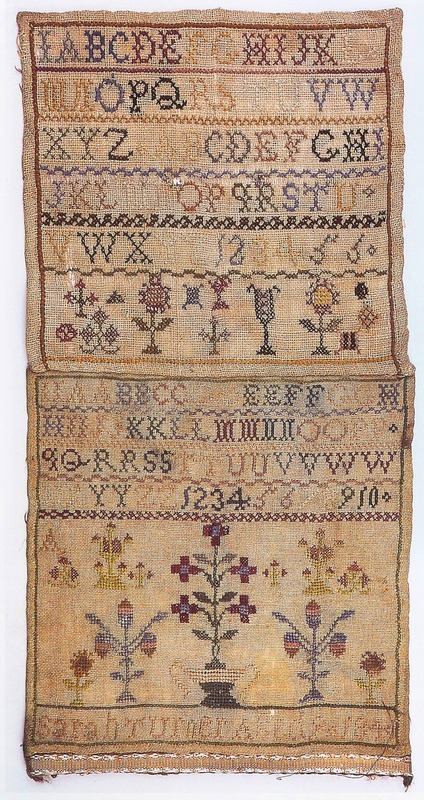 Sarah Turner was just 9 years old in 1840 England when she knit this sampler. After converting to the LDS Church she relocated to the Utah Territory. Sarah and her sister left England alone, traveling by way of New Orleans and St. Louis. At the age of eighteen, Sarah walked from Missouri to Utah Territory in 1850, and she carried her sampler with her the entire way. 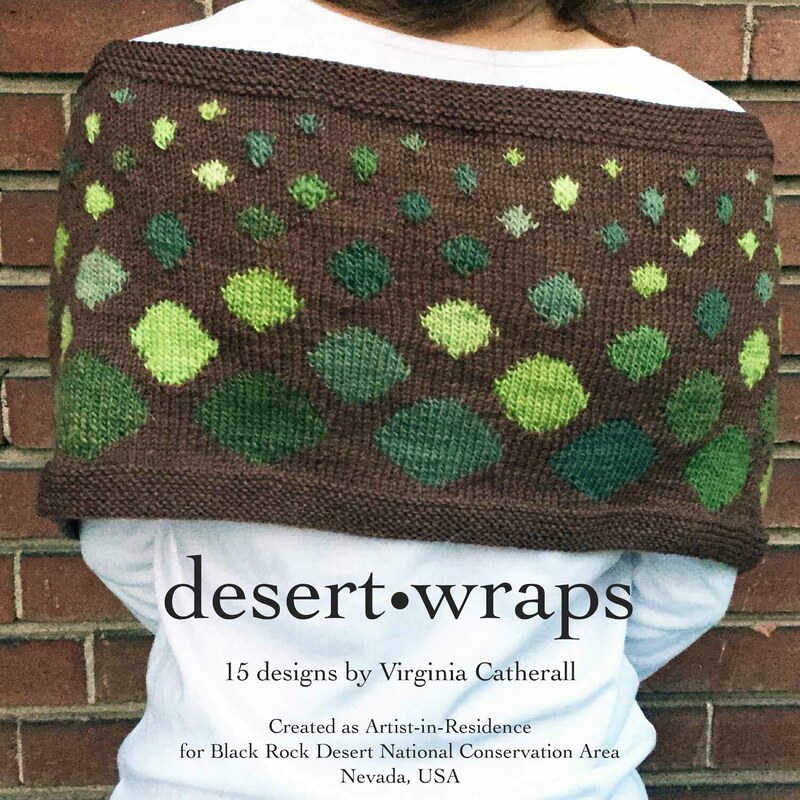 I want to utilize the designs in this amazing sampler in something. 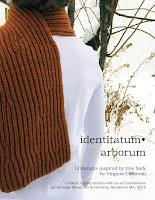 I have been dying to learn a new knitting technique called Roositud, an Estonian embroidery technique. I might learn this skill with a new design of my own.